Professionally designed courses, waiting for you to tee off. A dream team of legendary course designers have all brought their considerable skills to bear to create the three layouts that constitute the Kingsmill golf experience. The River, Plantation and Woods* courses each offer 18 holes of championship golf for players of every level. It all starts with the land. A breathtaking tapestry of gently rolling hills, majestic hardwood forest, and stunning coastal tracts along the James River waters. Add to that an architectural philosophy of working with the contours and curves nature provides, and you’re left with golf courses that feel part of their environment. Impeccably groomed, painstakingly maintained, and lovingly tended, the first view from your tee box is all it takes to let you know you’ve found something special. Something magical. Something Kingsmill. In Golf Digest’s Courses For Women 2013, Kingsmill’s Plantation Course was ranked 13th among 50 of the top courses in the country. For three decades, The River Course has hosted the world’s best players on both PGA and LPGA tours. 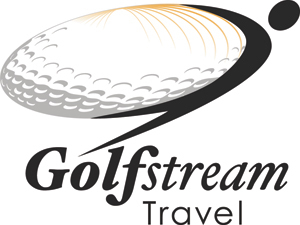 It has also hosted thousands of lesser-known golfing superstars. Like you. Bordered by the calm azure waters of the James River, this famed championship course has tested the mettle of the game’s most famous names. On a still morning, dew still beading on the precisely manicured greens, you can almost hear the echoes of applause for crisply struck irons and delicately holed putts. The River Course inspires you to test your own mettle. To see how you stack up against the greats of today, and of years gone by. The course has been reborn thanks to the efforts of original architect Pete Dye. The renowned course designer tinkered just enough with his layout, bringing out the subtle details that make for a truly unforgettable round of golf and earning a Golfweek Magazine Top Ten Virginia Course distinction. Golf course architect Tom Clark designed this course in concert with two-time U.S. Open champion Curtis Strange. The Woods Course is a classic parkland-style design that occupies a secluded corner of the resort. 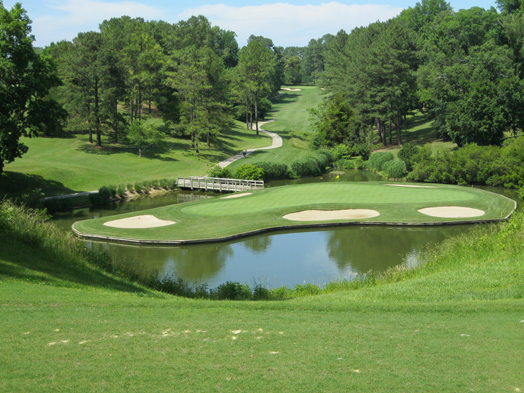 Ranked #10 of Virginia’s Top Ten Golf Courses by Golfweek Magazine, the Woods Course is an instant hit with all golfers. In a recent Zagat Survey, the Woods Course was named one of America’s Top Golf Courses. The Woods Course is a 6,659-yard layout with an interesting mix of long and short holes, giving golfers the opportunity to use every club in their bag. A unique feature is the double green with a bunker in the center shared by the par-3 12th hole and the par-4 15th hole. The Woods Course is a delight to play, time after time. The Plantation Course is an Arnold Palmer and Ed Seay design that challenges players of all skill levels. The 6,432-yard, par-72 course favors accurate iron play and good putting. Fairway landing areas are generous, but water comes into play on eight holes, and there’s no shortage of deep woods or yawning ravines. Greens are large and provide inviting targets for approach shots. Once on the putting surface, undulations and swales make getting down in two a satisfying accomplishment. With landmarks from Richard Kingsmill’s 1736 plantation woven into the landscape, a round on the Plantation Course is truly historic. Villa-inspired style meets comfort-inspired finishes at each of the 425 guest rooms and suites at Kingsmill Resort. Whether you choose a standard guest room, opt for one of our 1, 2, or 3-bedroom suites, or choose one of our new private riverside cottages, you’ll find yourself with room to spread out, make yourself at home, and enjoy your visit. River accommodations are located along the James River and are closest to the pools, sports club, spa and restaurants. 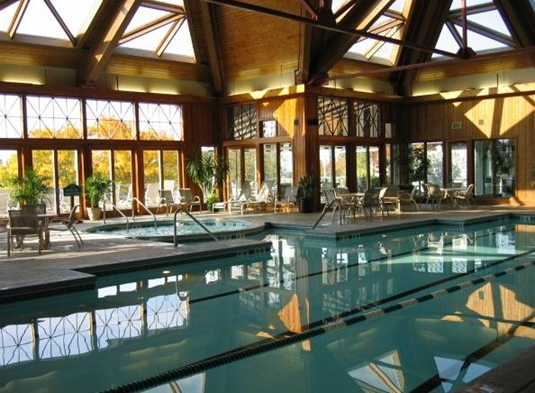 Deluxe accommodations are located in close proximity to the sports club, spa and restaurants adjacent to Wareham’s Pond. 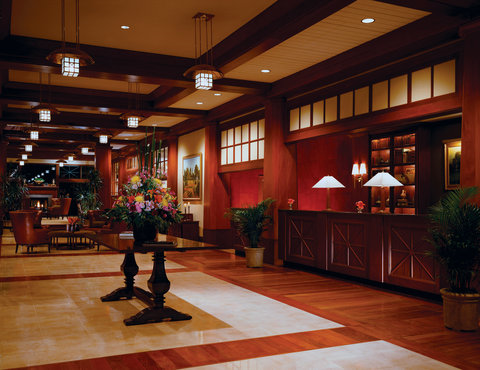 Resort accommodations are located along the golf course, tennis courts and woods, and are a short walk or shuttle ride to the sports club, spa and restaurants. Cottages are located just feet from the river’s edge, and are adjacent to the River Pool complex. Get out there. Have fun. Family fun. It’s a term that gets bandied about rather loosely these days. But not here at Kingsmill. It may sound odd, but we take fun very seriously here. Then again, one day is all it takes to realize that statement isn’t odd at all. For thrills, tee it up on our two 18-hole championship golf courses, serve an ace on our 15 clay and hard-surface tennis courts, or make a big splash at our mammoth outdoor pool. Or find a little bliss with more tranquil pursuits found on peaceful Wareham’s Pond or even a relaxing visit to our world-class spa, there’s truly something for every member of your family here. So, by all means: Make yourself at home, then get out and find your passion. 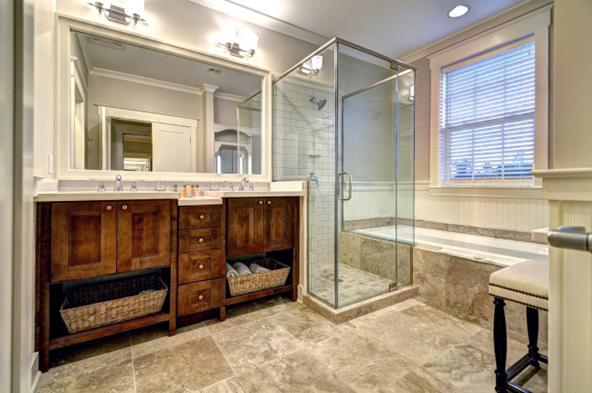 It’s all waiting for you at Kingsmill. It’s only fitting that a resort filled with so many exciting things to do should have one magnificent oasis for recovery, relaxation and rejuvenation. 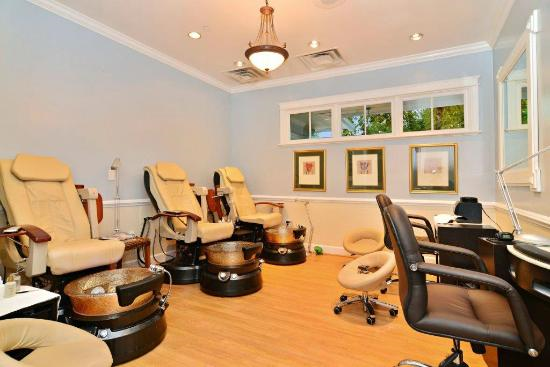 The brand new Spa at Kingsmill is precisely that oasis. With inspiration from the resort grounds, the Spa utilizes a palette of natural-based and organic products to create incredibly luxurious treatments designed to comfort and pamper you as never before. Spend an hour, or spend the entire day, and find true delight! 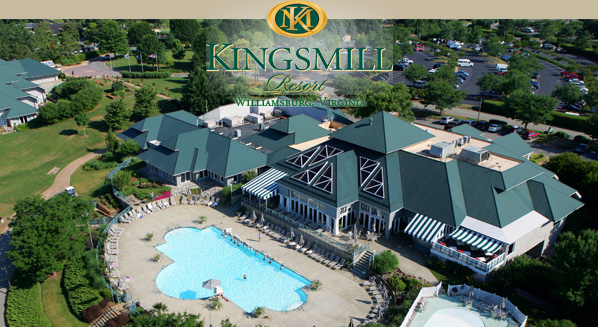 Overnight resort guests and Club at Kingsmill members may enjoy spa services at the Kingsmill Spa. A Meal or an Event? 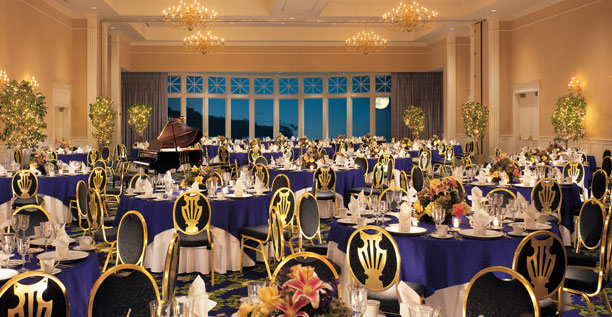 The choice is always yours at Kingsmill Resort. 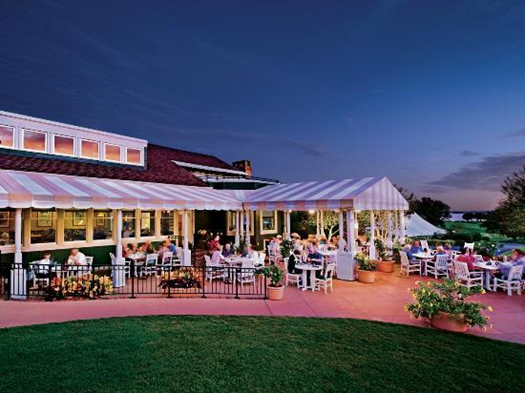 From a quick bite between nines on the golf course to a seemingly endless breakfast buffet, the dining options here at Kingsmill give you the freedom to experience a world of cuisine without ever leaving the property. Whet your appetite with a quick look at each of our scrumptious restaurants, or perhaps try recreating your favorite Kingsmill meal with recipes from our kitchens. However you describe it, our cuisine is a celebration of seasonal ingredients blended expertly together to form a culinary delight. With a wide-ranging and seasonally changing menu, there’s always something new to discover at Elements 1010. It’s comfort food in an elegant setting, with panoramic views of the James River providing the perfect backdrop to your dining experience. Eagles is the perfect place to segue between a day on the course, and another glorious James River evening. Don’t golf? That’s just fine, as Eagles is a favorite spot for leisurely lunches, relaxing get-togethers and drinks and dinner with friends. Eagles features locally-sourced products and offers a selection of fresh and creative culinary choices. A scenic spot where family and friends gather to enjoy fresh, locally-sourced cuisine, while enjoying the beautiful sunsets over the James River. 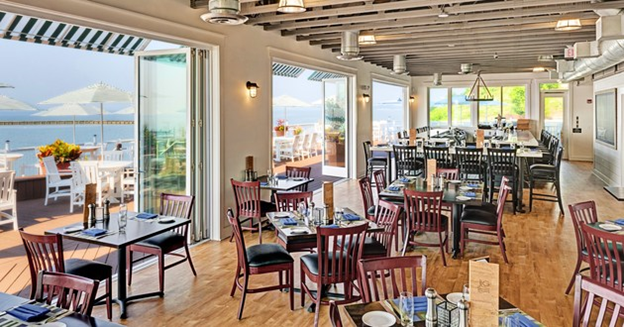 Open seasonally, the James Landing Grille presents a selection of regional and sustainable seafood, such as Local Oysters on the half shell and Chesapeake Bay Rockfish. The James Landing Grille also features seasonally available, fresh-farmed vegetables, and is the only riverfront dining experience in Williamsburg. A coffee mill fit for a king. 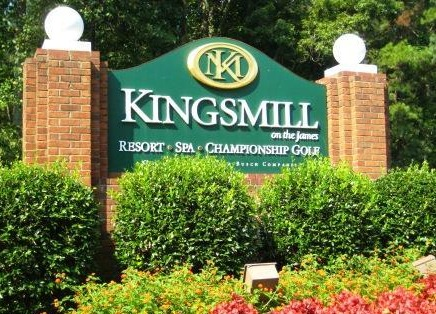 This is Kingsmill, after all. A wide selection of Virginia-roasted organic and fair-trade coffee beans is here just waiting for you to decide how you want them: Coffee, latte, mocha, espresso? Your wish is our coffee-scented desire. And if the aroma of fresh-brewed java doesn’t get you, the tantalizing smell of the area’s largest selection of freshly-baked breads certainly will. 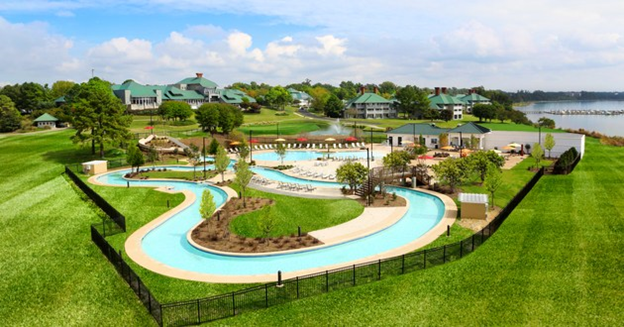 You can enjoy an entire day at the River Pool with the food and beverage selection at Currents, Kingsmill’s newest food outlet. Currents has salad, sandwich and snack choices for every age and taste, along with comfortable poolside seating. Come early and stay the day! After all, no mere hotel room could lure you away from the gorgeous James River scenery at Kingsmill. No. Something more was required in order to tempt you away from the grounds, the golf, the spa, and the sumptuous dining. 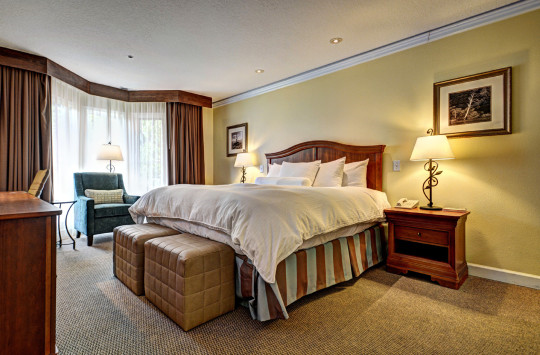 Each of the recently updated 425 guest rooms and suites at Kingsmill Resort is villa-style, and comfort-inspired, featuring stylish yet comfy furnishings, soft and luxuriant linens, and immaculate bathrooms. We’ll even provide you with a plush natural cotton robe during your stay to make sure you stay warm and snug. And while standard guest rooms are anything but standard, should you wish to make your stay even more memorable, might we suggest a 1, 2 or 3-bedroom suite or one of our Cottages on the James. 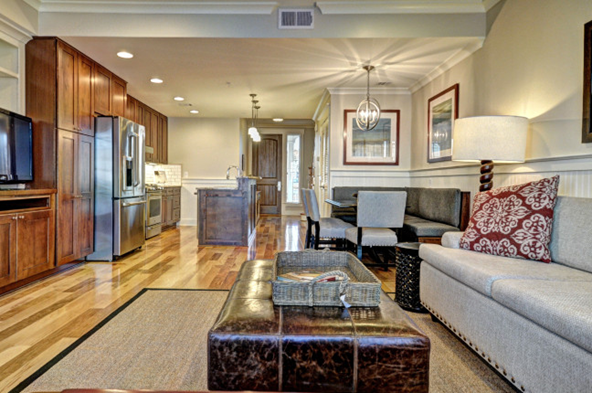 Choose from a James River, Wareham’s Pond, Golf Course or Tennis Center view, all with proximity to both our fitness center, the marina and the Spa at Kingsmill.